We rented this for the boys to watch, but Luke became so upset by the villainous bear at the beginning that only Lauren and I watched it all the way through. The premise is simple: hibernating animals wake up in the spring to discover most of the forest they consider home gone. It’s been replaced by a huge housing subdivision, and all that separates the naive animals from the dangerous humans is a tall hedge. 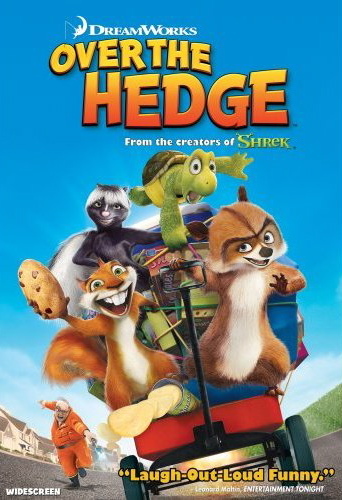 A raccoon, desperate to pay back a debt, convinces the animals to cross over the hedge and scavenge for food. The animation and voice-over work is top notch. Bruce Willis returns to his comic, wise-cracking roots. Gary Shandling plays the cautious turtle with some real heart. But the movie belongs to the scene-stealing Steve Carrell as the hyperactive squirrel Hammie. Hi-larious.